While the world responds with alarm over President Donald Trump’s spontaneous decision to cancel diplomatic talks with North Korea scheduled for next month—which aimed to ease rising nuclear tensions—131 Democrats in the U.S. House joined with the overwhelming majority of Republicans to pass a $717 billion Pentagon spending bill that includes massive expansion of the U.S. nuclear arsenal. In addition to allocating $22 billion toward U.S. nuclear weapons programs and $69 billion for U.S. war efforts, the legislation approves the purchase of more than 70 F-35 fighter jets, the addition of 16,000 active-duty personnel, and Trump’s request for a 2.6 percent pay raise for the military, the biggest increase in nine years. Despite the alarming components of the House-approved NDAA, in the wake of Trump’s heavily criticized withdrawal from the Iran nuclear deal, anti-war activists were relieved that the measure makes clear to the White House that Congress has not authorized the use of armed forces against Iran. “Just weeks after President Trump shamefully pulled out of the Iran deal, it is more important than ever to ensure diplomacy with Iran and in the region,” said Lee, a co-sponsor of the amendment. “This is vital, as the elevation of Iran warhawks in John Bolton and Mike Pompeo and the violation of the Iran nuclear deal has put another disastrous war of choice in the Middle East back on the table,” said NIAC Action executive director Jamal Abdi, referring to Trump’s recently appointed national security adviser and secretary of state. 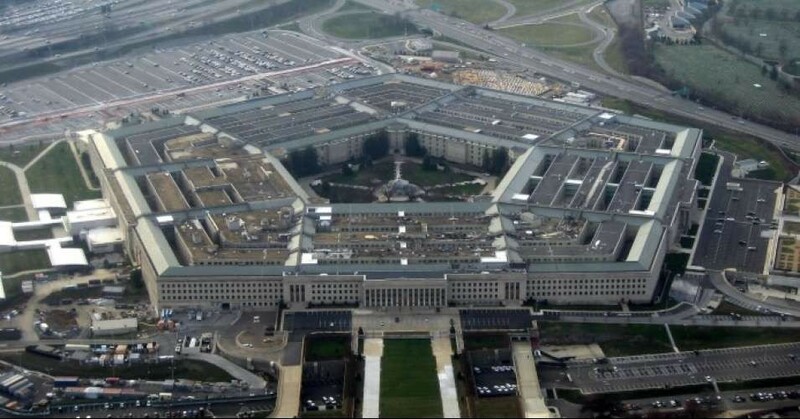 The Senate Armed Services Committee marked up a version of the Pentagon spending bill this week, but the Senate’s Republican leadership has not formally announced plans to bring it to the floor. This entry was posted in Corruption, Economics, Government, International Agreements, Military, Religion, Technology, Terrorism, War and tagged Barbara Lee, Capitalism, Corruption, Donald Trump, Economics, International Agreements, Military, military-industrial complex, NDAA 2019, nuclear arms, Nuclear Posture Review, nuclear weapons, Pentagon, religion, Security, Senate Armed Services Committee, technology, terrorism, War on May 25, 2018 by MNgranny.